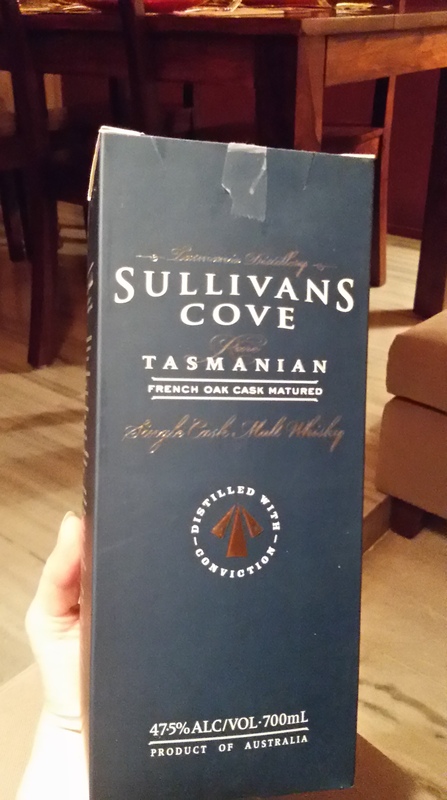 This entry was posted in Australia, Beyond Scotland and tagged Australian whisky, Sullivans Cove, Sullivans Cove French Oak Cask, Sullivans Cove tasting notes, Tasmanian whisky, Whisky Lady by Carissa Hickling. Bookmark the permalink. Sorry it has taken me so long to read this review! I find it really interesting to see how similar your notes are from a year apart – I guess it could go one of two ways: either successfully similar or embarrassingly different. Though this of course depends on previous drams and foods consumed etc. 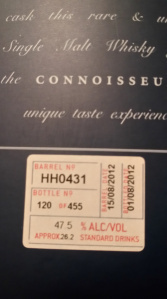 You’ve inspired me slightly – I may have to do a ‘time capsule’ tasting note and leave it for a year and then come back to it! It was an interesting experiment and hope to read of your own ‘time capsule’ tastings too!